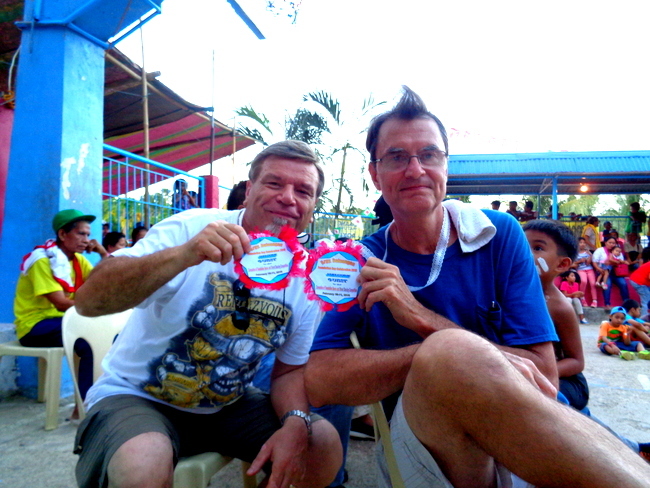 Captain Tom and his amazing mohawk took time off from his thriving graphic design business, Line of Sight, to visit a Guimaras fiesta in Buluangan, the Philippines. 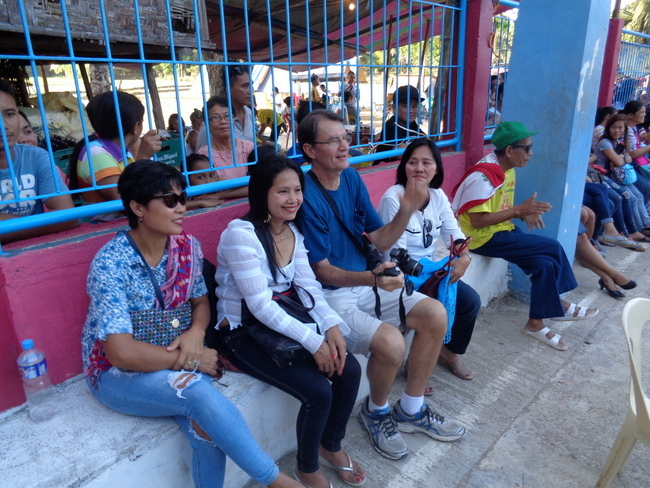 Tom has been visiting his fiancée, the lovely Lenlen, seen seated in between my beautiful asawa on the left and a family friend on the right. 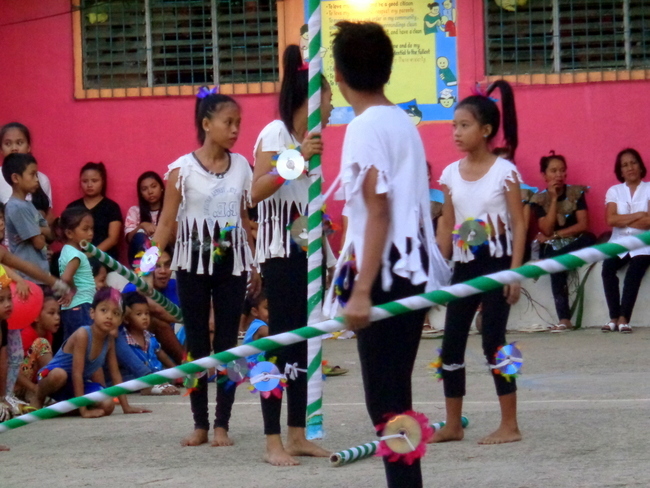 Barangay Buluangan’s Foundation Day Celebration 2016 was held last week. The participants seen in the next shot are from the same elementary school my spouse attended years ago. 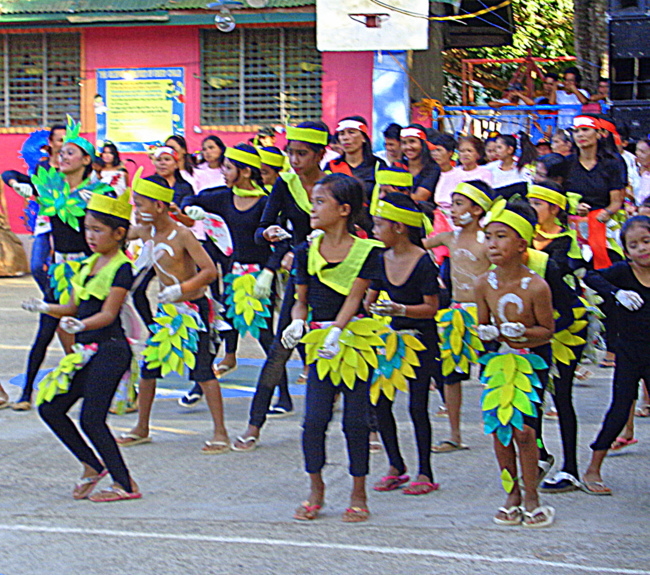 These energetic tiny dancers were part of a street dancing competition for the fiesta. There was a massive crowd on hand for the celebration, which we thought would be delayed by a brown out courtesy of our local utility, Guimelco. 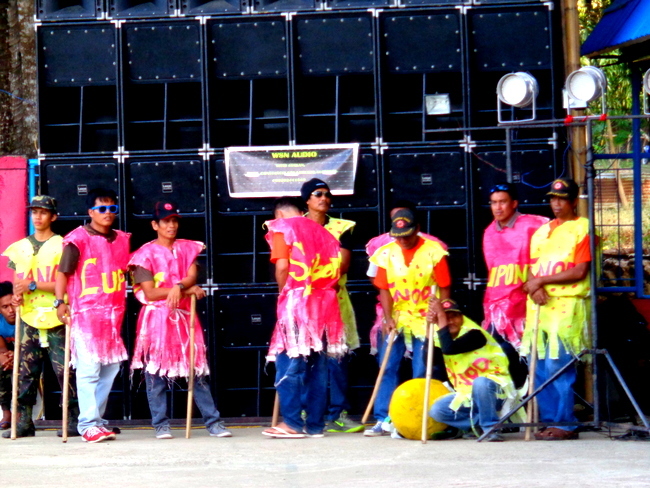 But a back-up generator was on hand to provide power for the massive wall of speakers seen at any fiesta I’ve ever attended in the Philippines. But while my wife and LenLen sat watching the diminutive dancers, Captain Tom, seemed somewhat agitated. It appears that the Captain might have even been flipping someone “the bird,” though being a former oblate at the Trappist Monastery in Guimaras, that’s highly doubtful. 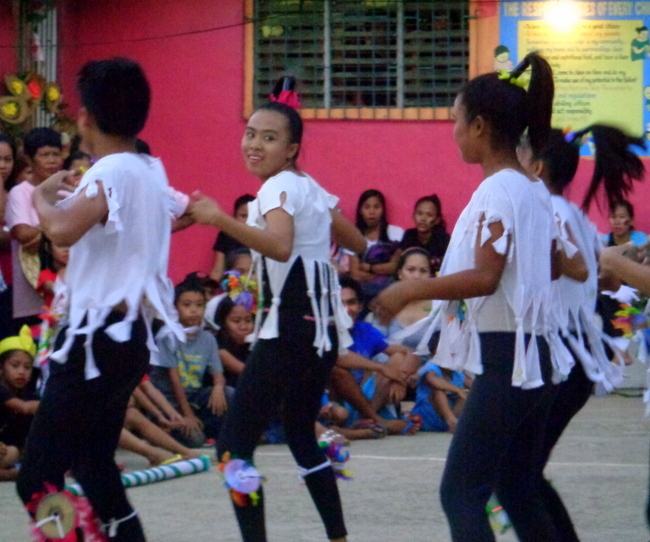 In the photo above, the next group to perform at this fiesta in the Philippines seemed about as confused as Ben Carson and Donald Trump at the Feb. 6 Republican debate in New Hampshire. Were these kids missing their cues, too? 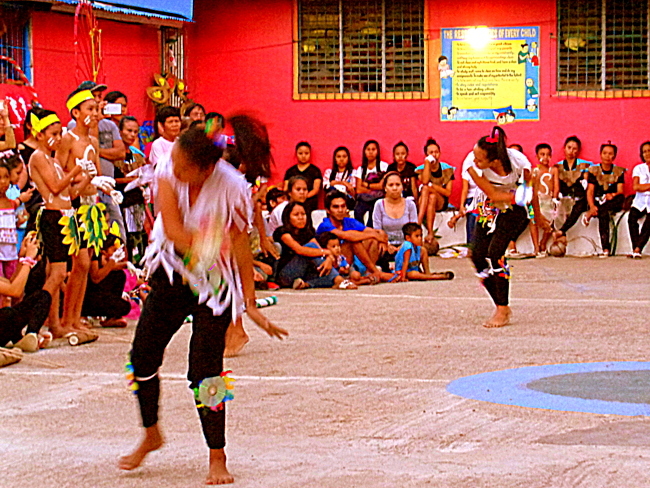 But the street dancers soon kicked into high gear. Unfortunately, the soft-spoken Ben Carson, hasn’t. Where these two participants reacting to President Barack Obama’s former top military intelligence official who stated Hillary Clinton should pull out of the presidential race while the FBI investigates her use of a private email server for official government communication while secretary of state? 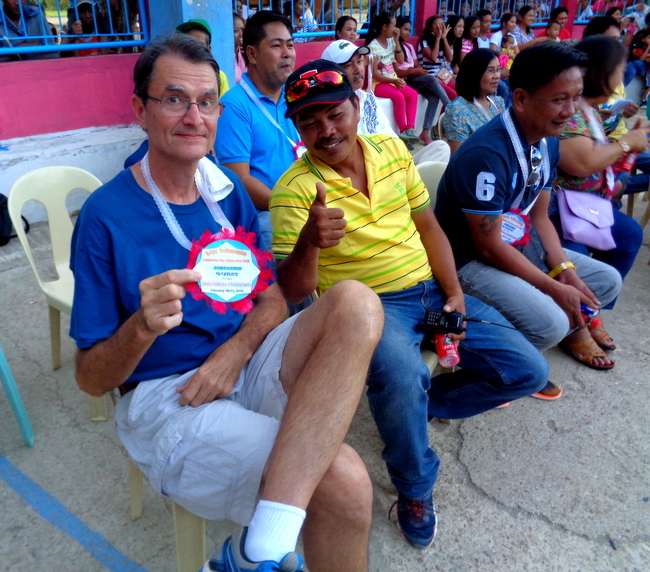 Captain Tom and the Buluangan Barangay Captain gave a “thumb’s up” to that. Yours truly and Captain Tom show off our “Guest” badges where we were given privileged seating with local barangay officials. 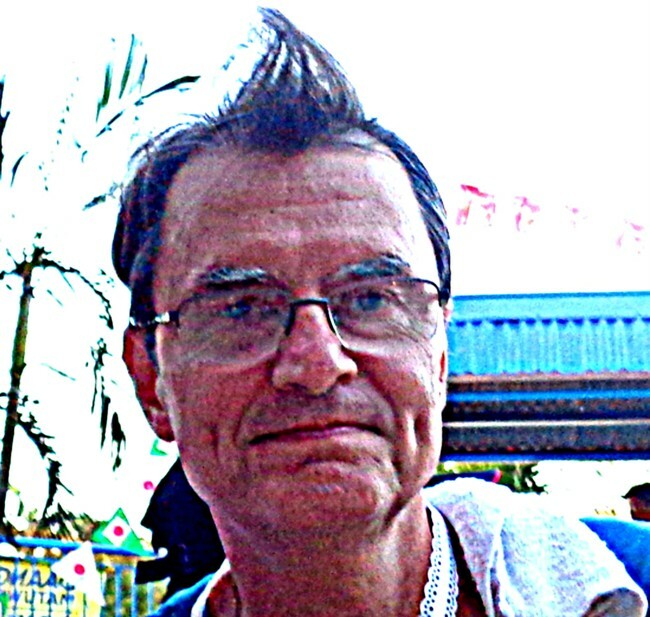 Tom was so excited to get the celebrity treatment in the Philippines that his hair virtually stood on end, resulting in a mohawk-like hairstyle. 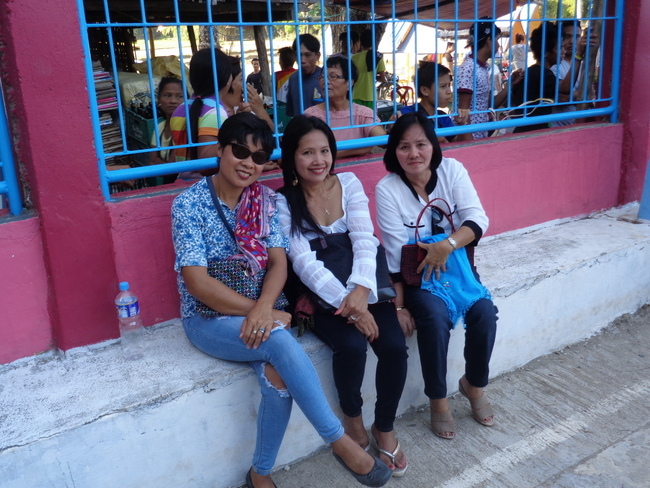 More on Barangay Buluangan’s Foundation Day Celebration 2016 along with a look at some of the Foundation Queen Contestants who all wore gowns made of recyclable materials. That’s true, Scott H, but Tom is leaving us today to begin his return journey to the States. He will be missed. Things are back to normal with Tom back and getting to spend some time with LenLen. Captain Tom, Melinda and I both enjoyed your visit. It seemed to pass by so quickly. Thanks to LenLen and you, the Top Dawg, for sharing so much time with us. Today is the 19th and I still have a fast internet speed but read where AT&T, where I spent 30 years, is now going to offer a 5G network which will be 100x faster than their present 4G. Amazing! We have 3G with Globe until they start slowing it down to 2G by the middle of the month. Guimaras is a work-in-progress, but then, so am I.